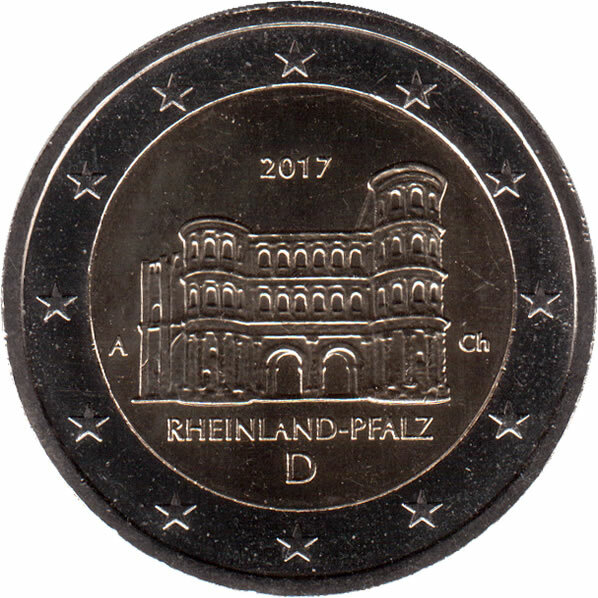 2 Euro Bundesländer - "Rhineland-Palatinate"
The design shows the Porta Nigra in Trier which is probably the best-preserved Roman city gate north of the Alps. The inner part also features the name 'RHEINLAND-PFALZ' and the issuing country's code 'D' at the bottom. The mint mark of the respective mint ('A', 'D', 'F', 'G' or 'J') appears at the left and the year '2017' appears at the top. At the right, the initials of the designer 'CH' (Chocola Frantisek). 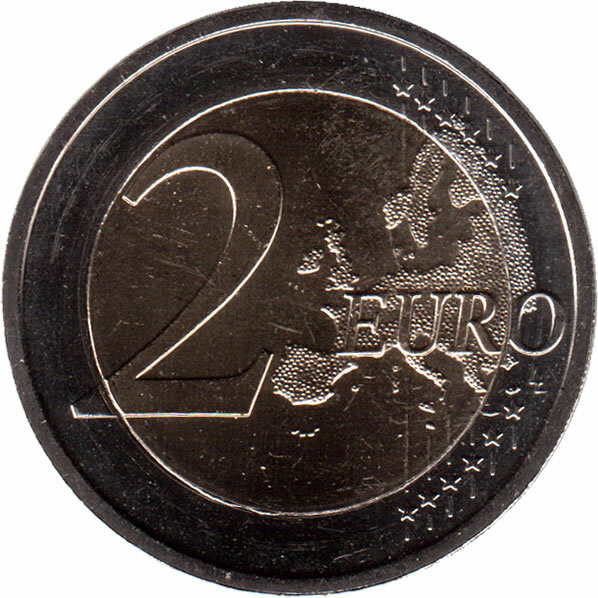 The coin's outer ring depicts the 12 stars of the European flag.